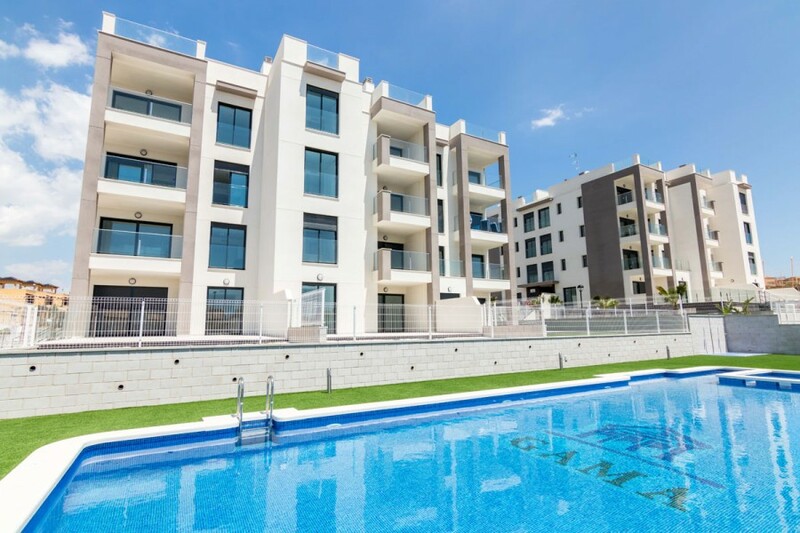 Brand new apartments under construction in the picturesque seaside town of Pilar de la Horadada – Costa Calida, on the shore of the beautiful Mar Menor/Mediterannean Sea. 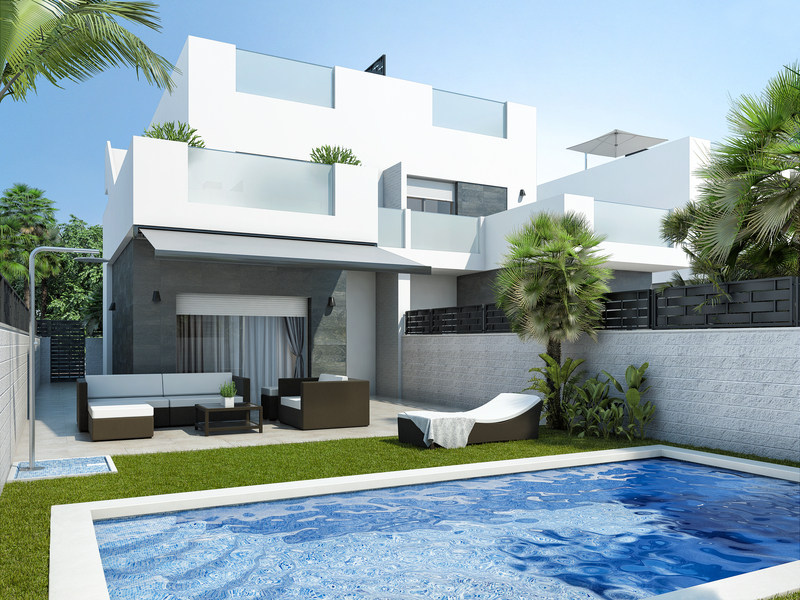 These properties are built to a very high standard and just a short stroll from the beaches and bars. 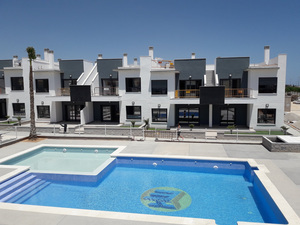 They are also handily located and just a few minutes by car from the Dos Mares Commercial Centre and San Javier airport. The famous La Zenia Boulevard Commercial centre is about 10 minutes further with a large selection of shops, bars and restaurants to cater for every taste. The beautiful sandy beaches of Torre de la Horadada and its Marina are only 3 minutes away. 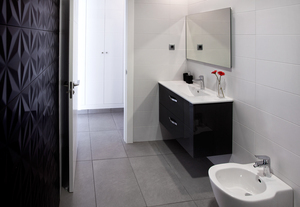 While the city centre with all amenities is only a five minute walk from the development. Alicante airport is 40 minutes, Murcia airport is 15 minutes. Brand new apartments in Pilar de la Horadada, Alicante...WITH EVERYTHING INCLUDED - Private storage room & parking space, - Furniture, curtains - Lamps, spot lights - White goods, - Shower screens, - A/C fully installed This brand new development of ground floor & penthouse apartments are situated in the very popular Spanish town of Pilar de la Horadada. The apartments comprise a lounge/dining room, open plan kitchen, two double bedrooms, one en suite and a family bathroom. The salon has access via patio doors to the part covered terrace area. There is off road parking, storage and pre-installation of air conditioning as standard. 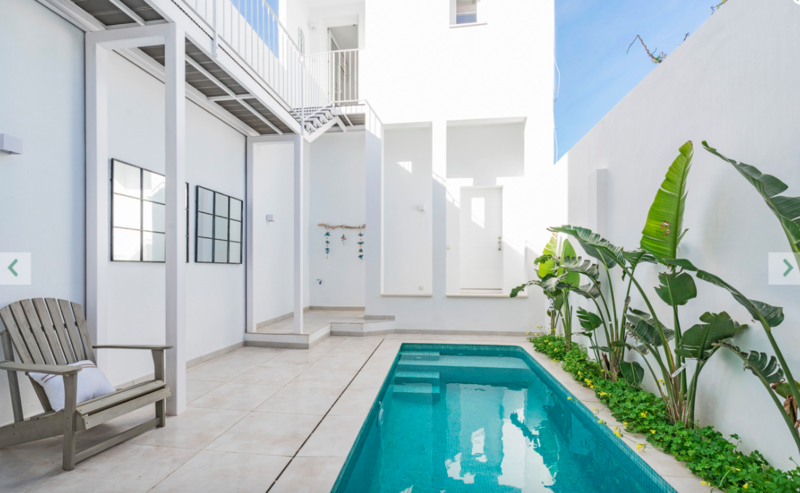 It is just a ten minute walk from the town of Pilar de la Horadada and a 25 minute walk to the Torre de la Horadada beaches and marina. 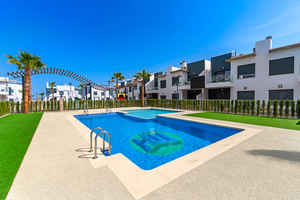 The shopping centre of Dos Mares in only a short drive away and there are fantastic road links to the rest of the Costa Blanca including the San Javier airport. 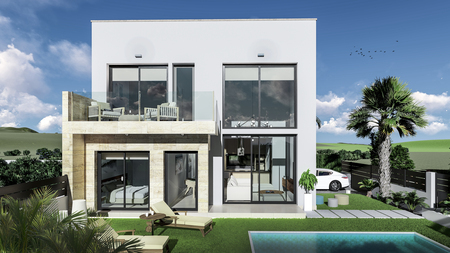 The ground floors benefit from a garden area whilst the top floor penthouses have a private roof solarium. 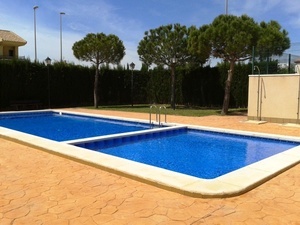 The properties also all benefit from the use of two private communal swimming pools and gardens. 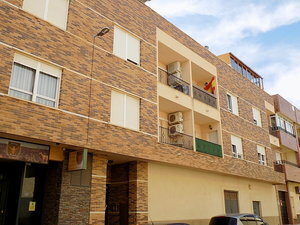 They are just a short walk from the popular Spanish town of Pilar de la Horadada and the beach is approx a 20 minute walk. The popular golf course "Lo Romero" is only a 5 minute drive. 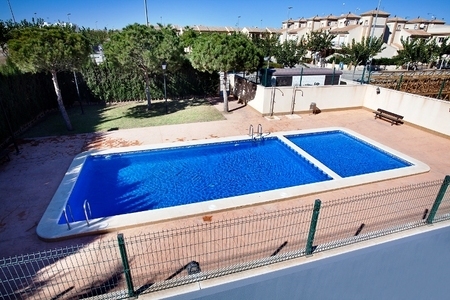 The properties also have very easy access to the AP7 motorway and only 15 minutes drive to Murcia airport and 40 minutes from Alicante.